It is a natural things for everyone to get angry at least once in a week, because anger is just an emotional reaction, that at times we cannot prevent it from happening, but the ability to have it under control make us feel better about it, otherwise it will ruin so many things in our day to day activities. So also we do feel angry in our relationship and it is very important for us to figure out ways to control anger in relationship. Because anger is a problem to every one of us, there are ways to control it and not allow it to degenerate into something else that can’t be easily quenched. 1. Anger should be challenge once prompt up: Don’t wait until it’s fully blown and get uncontrollable. Immediately you feel angry or you discover that your partner is angry, you should address it immediately and not allow it to be nurtured because things will get worse. 2. Don’t keep anger to yourself: When you get angry about something in your relationship, don’t keep it to yourself, share the feeling with your partner and let everything be resolved. It is not necessary mean the anger is coming from your side, if you notice that the angry nature of your partner is causing you to lose your temper, don’t wait for it to be nursed inside you because it’s going to hurt you latter, which is why you should share that feeling with your partner. 3. Learn to keep calm. Two wrong head they say, can never make a right. When your partner is mad at you, don’t return it instead stay calm and focus because anger fuels anger, so the calmer you can remain, the quicker your partner’s anger melt down. Yelling at each other will only make thing worse in your relationship and it will continue like that until you learn the ways to control anger in relationship. 4. Recognize your partner’s mind-set: Don’t wait until it got busted out from your partner before acknowledging that s/he is angry. Say it openly that I can see that you are angry or I understand you are feeling bad about something you think is causing him or her trouble. It will help to calm down the whole situation no matter the level of annoyance because this will force your partner to remain calm and silence. 5. Use your listening skill: When someone is angry and he feels that no one is listing to whatever that makes him angry, that will get him to be more nervous about the whole thing and the level of the annoyance will increase. Showing your partner that you’re listening to him/ her for whatever cause the annoyance will get him or her calm because the feeling of being listening to or being heard make an angry person to calm down. 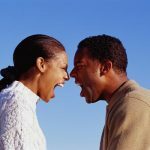 These are the five ways to control anger in relationship that is generally working for lots of people and I believe it will also work for you as well. Just try and follow the five as highlighted above, you’re on your way to make everlasting peace in your relationship. Do you have any other ways to control anger in relationship? We will like to hear from you, we value contribution of our ready and we take it very serious. 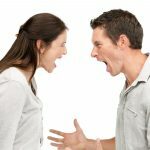 Anger Management in Marriage: how can it be controlled?